The problem of capitalism is not its wealth-creating capacity, but its inability to share it. A global economic system that produces incredible wealth, but cannot ensure “zero hunger” on this planet is deeply flawed. Markets lacking the visible helping hand of democratic and accountable governments are producing socially undesirable, and most likely unsustainable, outcomes. The most successful – and actually the only – way to provide universal minimum social protection in modern societies is the welfare state that guarantees basic rights for those in need, and is financed through compulsory payments (contributions or taxes) by all members of society according to their abilities. Systems might be organised in different ways, but at the end of the day all systems are based on the capacity and willingness of governments to impose on their citizen obligatory solidarity with the poorer members of society. SPFs are not designed as stand-alone anti-poverty measures, but as social rights that are a first step towards comprehensive social security provisions at least at the level of the ILO’s Social Security (Minimum Standards) Convention, 1952 (No. 102). Embedding social floors in an overall concept of solidarity avoids the antagonistic split between beneficiaries (the deserving poor), and taxpayers, and opens the opportunity for broad-based political support and ownership. Ultimately social reforms do not happen because they are somehow necessary, possible, and desirable, but because the poor demand them and the elites are worried that the patience of the subordinated might come to an end. The deep global economic crisis has shaken the dogmatic beliefs and naïve confidence in market fundamentalism. There is therefore a window of opportunity. The current obscene levels of inequality are unsustainable. In addition, the electoral successes of governments that implemented large-scale cash transfer programmes in countries such as Brazil or India, also contributed to the growing popularity of SPFs among policy makers. In short, it might be an idea whose time has come. The Recommendation strongly builds on the positive experiences and innovations of many middle-income and developing countries such as Brazil, Ghana, India, Namibia, or Thailand. It combines the European tradition of rights-based social security with the innovative experience of large-scale cash transfer programmes such as the Brazilian Bolsa Família, or employment guarantees such as the Indian Mahatma Gandhi National Rural Employment Guarantee Act (NREGA). No other ILO social security standard has been based to a similar extent on the practical experiences of countries from all parts of the world. This gives it a great potential to be applied universally. The vast majority of countries – certainly the G20 representing 85 per cent of the world’s population – has reached the level of economic development to provide social protection to its citizens. These countries have no “economic excuse” to leave part of their population in extreme poverty. Even for the least developed countries, as ILO research has shown, a basic social security floor is not out of reach. However some countries might need international solidarity and transfers to complement their own efforts, something wealthier countries might want to do not only out of altruism, but also to slow down the migration pressures from countries that are unable to provide even the most basic income security for their people. people need to have voice and representation through cost-free individual complaint mechanisms, as well as through collective organizations. Recommendation 202 rejects a paternalistic top-down approach of the State, as well as romantic self-help illusions. It identifies the primary responsibility of the State to create the rules and conditions, but deliberately avoids a determination as to whether the schemes should be run by the State, by local communities, mutual assistance schemes, or private insurance companies. It avoids an ideological presumption that either the State or the market is per se superior to deliver on the social floor. The ILO has taken the pragmatic view that what matters most are the outcomes. Whatever works to deliver basic social guarantees effectively and efficiently to all is a good SPF. Successful social protection policies require broad public support. A labour standard adopted at the ILC is probably the most transparent and inclusive process that currently exists in the global multilateral system. The ILO is much more democratically structured than the World Bank or the IMF which are controlled by the industrialised countries under the leadership of the United States. Furthermore, the ILO is the only international organisation that provides non-State actors with an institutional voice. Contrary to all other forums where consultations are undertaken with a selective group of NGOs but decisions solely taken by governments; at the ILO both workers’ and employers’ organisations have actual voting rights. Recommendation 202 will ultimately only make a difference to people’s lives if it is taken up at national level. The call on governments for an inclusive national consultation process with all relevant stakeholders is a suggestion to create, at national level, the broad coalition that is needed for overcoming political resistance against extension and to increase governments’ accountability that commitments to increase social security coverage are followed by action, and real results. Being strong and passionate advocates for a universal social floor at the ILO, the trade unions put the interests of all workers and their families above the interests of their narrower membership base. If trade unions want to stop the erosion of the formal economy, and the rise of the precarious and informal economy, then they have to organise and represent all categories of workers. And they have to address the problems and issues that are central for these workers. The SPF is an opportunity for trade unions to become a more inclusive movement and to mobilise and organise informal economy workers. It is also a great opportunity to empower informal economy workers who are the most brutally exploited. Providing people with some basic security strengthens their ability to organise and stand up against employment practices that deny any form of respect, decency, and human dignity. Whether the SPF Initiative remains another piece of paper, or will make a difference, will ultimately be decided by the commitment of organised labour to fight for it. The organised voice of the working people alone might not be sufficient to achieve universal SPFs, but without a labour movement fighting for it, it will assuredly not happen. Historically, progressive social policy has seldom happened without the pressure of organised labour. The SPF is a chance for the labour movement to broaden its base, and a strong labour movement is the best chance for the SPF to become a reality for all. A win-win opportunity labour must not miss. ILO Geneva 2012. Social Protection Floors Recommendation, 2012 (No. 202). (seen 21.11.2012). ILO 2012, Articles 4 and 5, (seen 21.11.2012). Article 13(1), ILO 2012 (seen 21.11.2012). ILO Geneva, 2008. Can low-income countries afford basic social security? (seen 21.11.2012). ILO, 2012 Article 12 (seen 21.11.2012). 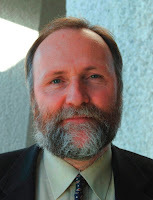 Frank Hoffer is senior research officer at the Bureau for Workers' Activities of the ILO. He writes in his personal capacity. A very good piece for all 21st century trade unions. A push for SPFs will undoubtedly broaden trade unions base. This calls for a strong collaboration between trade unions and socially friendly political parties(without compromising the true independence of trade unions)because, things got changed by politicians. Also alliance with NGOs and other professional bodies will make trade unions a real "social movement". Not until trade unions have gotten to this height, "revitilization" and the total acceptance of the labour movement by all is far from reach.